Mehbooba, in a tweet, said if standing up for the people made her a separatist and anti-national, she would wear such a badge with honour. 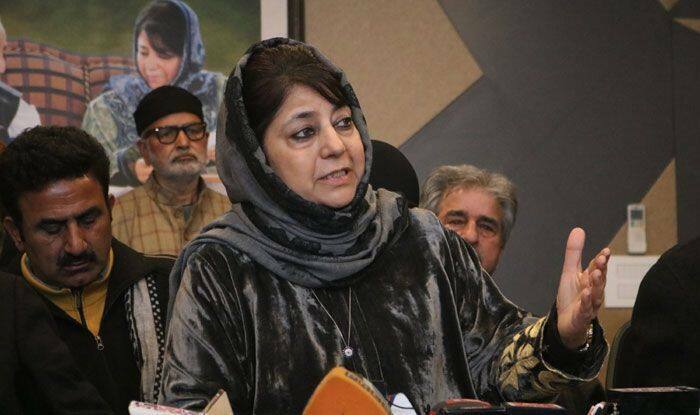 A ‘new India’ where those who kill and lynch in the name of religion are feted and garlanded is “unacceptable”, former Jammu and Kashmir chief minister Mehbooba Mufti said Wednesday. The PDP president was reacting to Union Finance Minister Arun Jaitley’s remarks that statements of mainstream parties in Kashmir create “separatist psyche” and were “not acceptable to new India”. “Unacceptable is a new India where those who kill and lynch in the name of religion are feted and garlanded. If standing up for my people makes me a separatist and anti-national, then its a badge I will wear with honour,” she said. Taking on National Conference leader Omar Abdullah, Jaitley on Monday said his demand for revival of the post of prime minister and president in J&K was intended to create a “separatist psyche” and asserted that new India would never allow any government to commit such blunders.